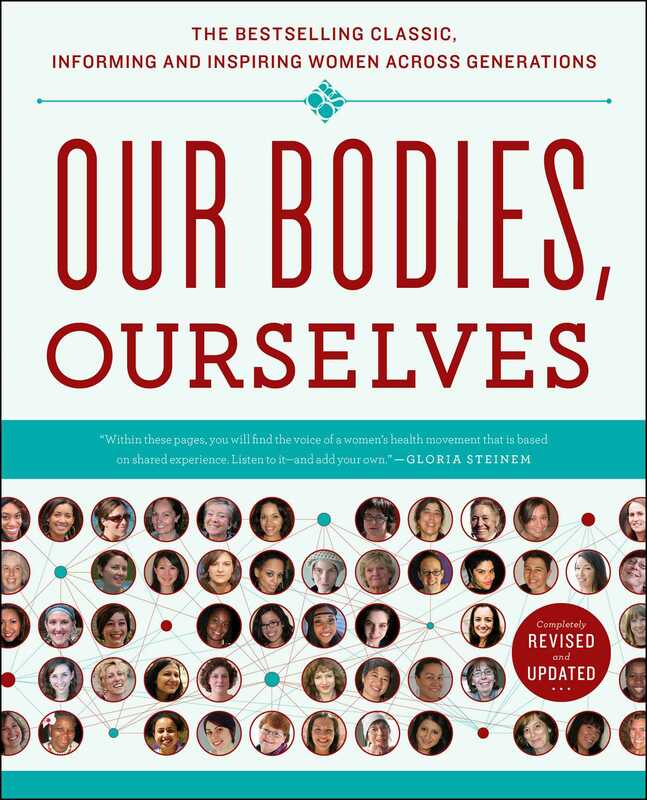 We are delighted to present Our Bodies, Ourselves—an in-depth look at women’s sexuality and reproductive health, from the first gynecological exam to sexual health in our later years. Since its first newsprint edition published in the early 1970s, Our Bodies, Ourselves (OBOS) has enabled women to learn about their bodies, gain insight from the experiences of other women, and consider how best to achieve political and cultural changes that would improve women’s lives. This completely revised and updated ninth edition, released on OBOS’s fortieth anniversary, covers topics ranging from sexual anatomy, body image, and gender identity to pregnancy and birth, perimenopause/menopause, and navigating the health-care system. This edition reflects the perspective and voices of a wide range of women, and their stories are told through new formats. At our invitation, more than three dozen women of all ages and identities participated in a monthlong online conversation about sexuality and relationships; we found their honesty and forthrightness so compelling that the conversation itself became the foundation of a new “Relationships” chapter. Other new voices include women’s organizations around the world that have created their own resources adapted from Our Bodies, Ourselves. Throughout the book, you will meet members of the Our Bodies Ourselves Global Network and read about their work on issues such as abortion, infertility, HIV education and prevention, and social activism. From distributing posters via canoes in rural Nigeria to setting up interactive websites in Israel and Turkey and reshaping health policy in Nepal and Armenia, their efforts exemplify movement building and the power of voices raised in action. This edition focuses on the core health issues—reproductive health and sexuality—that first brought the Boston Women’s Health Book Collective together. Some topics added over the years—such as nutrition, emotional health, and medical conditions that disproportionately or differently affect women—have been omitted this time, in part because information is now more readily available elsewhere. This has given us room to expand on issues such as reproductive rights, violence against women, and environmental health, which not only are centrally related to women’s sexual health and well-being but also are areas where, despite decades of advocacy and activism, women still face enormous challenges and obstacles that prevent them from leading safe and healthy lives. Our Bodies, Ourselves is both a text dedicated to factual information grounded in the best available evidence and a resource about health-care inequities and the work of those dedicated to ending social injustices. The many contributors to this book did not always agree on how to analyze the social, economic, and political forces that affect women’s health or how to characterize a medical controversy. When a conclusion remains uncertain, we have shared their questions and concerns so readers can make their own decisions in the absence of the kind of evidence we ultimately hope will be available. Our website (ourbodiesourselves.org) contains additional content, references, and useful links on women’s health topics not covered in this book. Ever since Our Bodies, Ourselves became a best seller in the United States, it has inspired women in other countries to adapt it—in part or as a whole—to their unique cultural needs. Through the our Bodies ourselves Global Initiative, we support more than twenty-two women’s organizations as they develop materials based on Our Bodies, Ourselves and use their resources in wide-scale outreach to advance the health and human rights of women and girls in their countries. Although the earliest projects were located primarily in Europe, we have since collaborated with organizations across Africa, South and Southeast Asia, the Middle East, Latin America, and Europe to bring culturally meaningful and reliable information to communities where it is most needed. As a result of our partnerships, resources based on the book are now available in more than twenty-five languages and in print, digital, and other socially interactive formats. You will read about our partners in the “In Translation” sidebars and we invite you to visit ourbodiesourselves.org/programs/network to learn more. As always, we recognize how the personal is often political and thus underscore when individual solutions are not possible or not lasting. Throughout the book, women who have joined with others to bring about change share their stories. 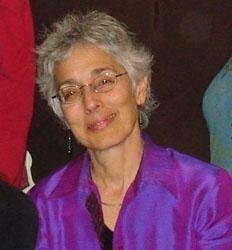 The combination of practical information with political critique and women’s lived experiences has long been the hallmark of Our Bodies, Ourselves and is one of the reasons the book has remained one of the most enduring legacies of the women’s movements that grew out of the late 1960s and early 1970s. Much has changed in the United States since the first edition, when abortion was illegal, birth control was not widely available, and the few available texts on women’s health and sexuality—almost all written by men—discounted women’s experiences and perspectives. Today, information is abundant, but it is still difficult to find reliable information that encompasses the diversity of women’s experiences and teases apart the conflicts of interest inherent in many issues that affect women’s health. Far too often, corporate and pharmaceutical interests influence medical research, information, and care, and contribute to the unnecessary medicalization of women’s bodies and lives. This not only wastes money and poses avoidable risks but also can discourage women from questioning the assumptions underlying the care they receive and from valuing and sharing their own insights and experiences. The need for a book like Our Bodies, Ourselves remains as strong as ever. Changing the medical system, organizing for better care, and altering the larger social, political, and economic forces that limit women’s lives require creative and concerted efforts over a long period of time. We believe that enhancing reproductive health and sexual pleasure can play a significant positive role in all our lives and strengthen us as we work toward sustaining a vision of a world that will better nurture all women, men, and children. We encourage you to explore this book with curiosity and vision.